- Discover STAR LIT PALETTE; a new collection of gradient shine eye shadows in a palette inspired by the galaxy’s deep variations of lights! - Dive into the Milky Way, illuminate your makeup and catch the light! Produk ini dijual oleh MAKE UP FOR EVER ID OFFICIAL STORE dan dikirim oleh Kurir Penyedia Jasa Logistik. 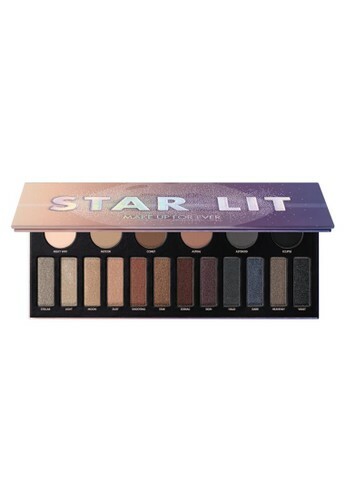 Tidak menemukan STAR LIT EYE SHADOW PALETTE H1 dalam ukuran Anda?